Assured Systems range of marine monitors are designed for use in maritime bridge and control room applications. These marine displays are available with a dimmable high brightness LED backlight for sunlight readability whilst providing the necessary 0 to 100% brightness control. Some of these marine monitors are waterproof with an IP66 rated bezel. Marine Touchscreen Monitors you can trust in your vessel's bridge and Control Room. 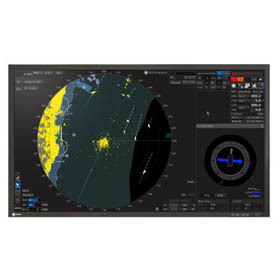 Assured Systems have a wide range of ECDIS displays for your vessel's integrated navigational system. These marine LCD monitors are equipped with a wide voltage input for simple integration on-board power system.